Hi! This is a composition a made for fun. Could you give any suggestions? What about a timed release multiplexer of URL feeds so one can switch between different RSS feeds? Other ideas do occur to me, though I need to think them through, the one I posed above I know works already. Another notion, what about running the sound through the 3D Sound Player - would have to be 16 bit Little Endian .wav files for that though. What about an ambient sound carousel, with the sounds switching and the scene switching to one more appropriate to the sound. 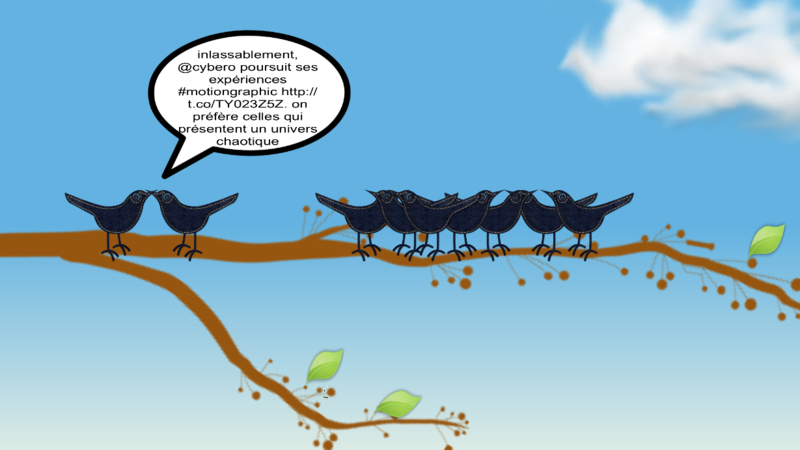 Finally, for now, what about having the birds taking it in turns to tweet [switching the enablement of different speech bubbles]. How to controll all channels of a MIDI controller?